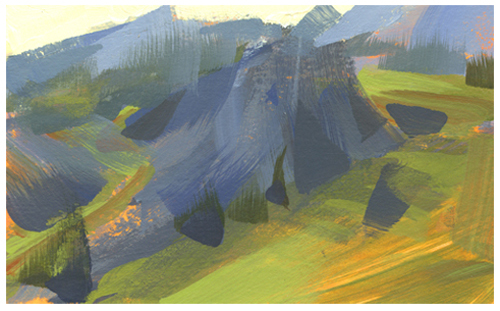 Here's a quickie of the Lake Tahoe area on the California/Nevada border. 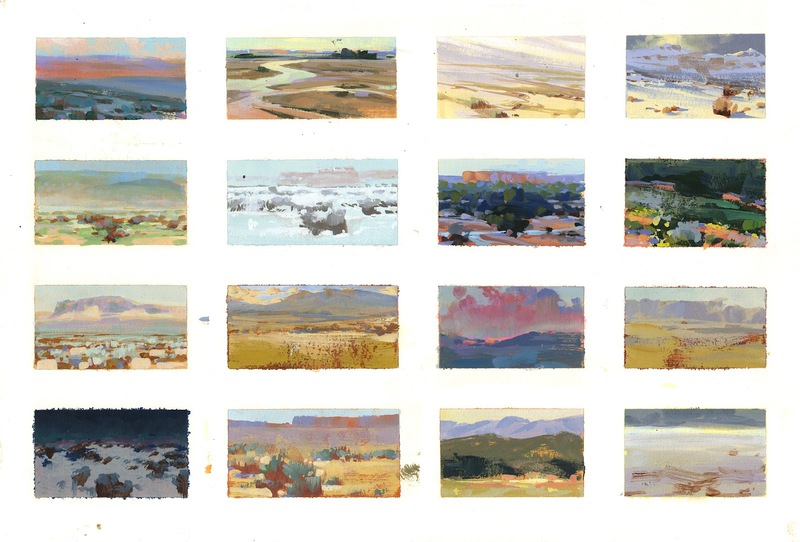 I first came a cross the work of James Reynolds in Southwest Art magazine as a teenager and years later was thrilled to find he had a book out called Trail Dust. But I was upset too, his color was so much better than mine! so I decided to copy every single painting in the book to figure it out. 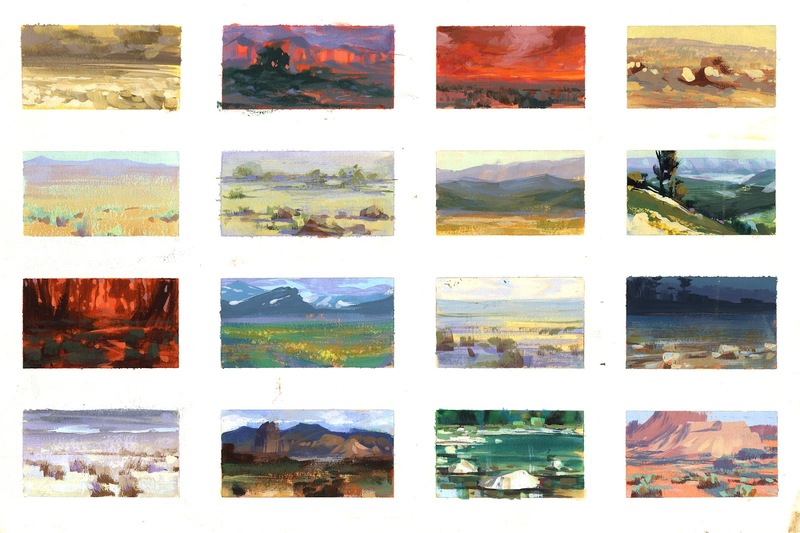 I didn't have time for elaborate copies so quick thumbnails had to suffice, this was so helpful for me that to this day I do quick color studies of anything and everything to try and improve my chops. These are acrylic on illustration board. 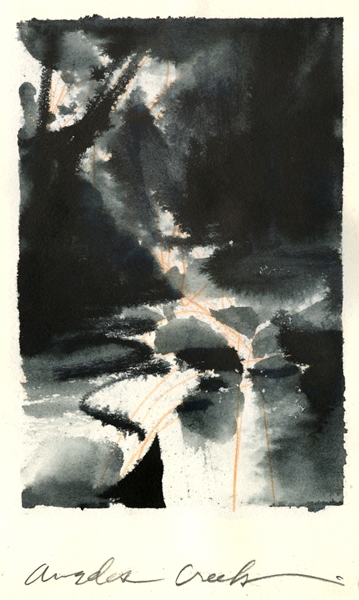 Quick sketch in ink, stream in Angeles Crest Forest.